Oregon might not seem like a hotbed of international crime, but police in the state have broken up a ring that was about to swamp the black market in Hong Kong with $750,000 worth of iPhones. Local police were able to stop the illegal activity by spotting suspicious iPhone purchases being made from Apple Stores in the Washington Square Mall and Bridgeport Village. The break that the cops needed took place at the Apple Store inside the Washington Square mall. 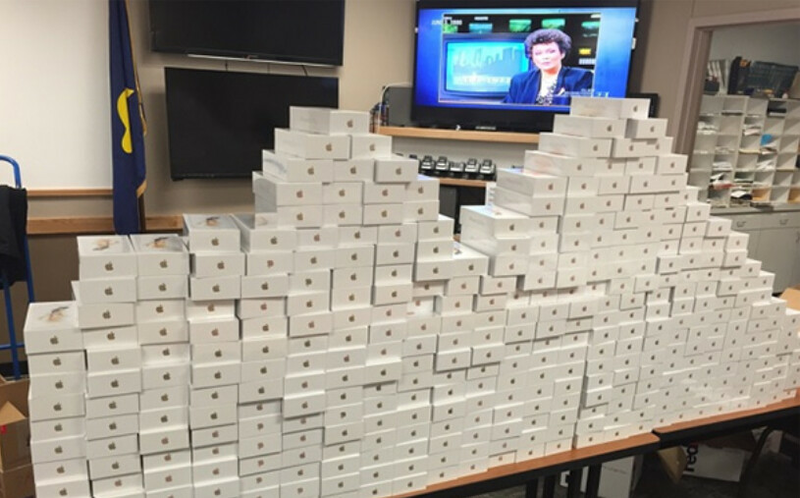 Police witnessed an individual purchasing a large number of iPhones using an incredible number of gift cards. The transaction aroused the suspicions of the cops, and they followed this man to his car. After he drove off, the police quickly pulled him over and discovered that the vehicle was stuffed with bags from Apple Stores. 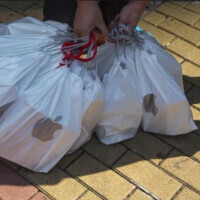 The police found 470 iPhones in the auto, valued at $290,000. They also found Apple Store gift cards in the amount of $585,000 that were most likely purchased using counterfeit credit cards. No arrests were made, however. As it turns out, the man who was making all of these questionable iPhone purchases, and his accomplice, are both now working with officials to bring down the entire ring. The pair led law enforcement officials to a FedEx store where a large number of boxes containing iPhones were discovered. The handsets were supposed to be smuggled in to Hong Kong. Where? I don't see any samjunk.. Very expensive and profitable one I'd say. Where Can I Get Those Gift Cards At Tho LOL. Well Apple devices have a high resale value, regardless of what we as individuals think about them, so smart way of whitewashing, though yeah, also a bit obvious. By individuals, you mean trolls, right? Believe it or not, but there are quite a lot of people that are not trolls that have quite a few reasons to dislike Apple, be it their law practices or products that people dislike. Apple's products are products like any other, yet some treat both Apple and their products as near gods. This is a bad thing, because it also means that if Apple does something wrong, they will still defend Apple. I don't "hate" Apple, I see no reason to do so, I dislike their patent practices and lawsuits that they seem to win even though the patents are so very very vague. iOS seems restrictive and limiting to me, I can't do things the way I want to do them, so I do not use iOS products. No hate, rage or fanboying against Apple is needed to dislike them. So, this is why Apple able to sell many phones with high ASP. Let say, That dude buy iPhone for US$800 using fake credit card Then, that dude sold the buy-using-stolen iPhone for US$500. So, in reality, the expensive iPhone were subsidize with stolen-credit-card. Yes, those 470 phones would have certainly flooded the Hong Kong market. Lol right, not even a small neighborhood. I wonder how he got all those gift cards in the first place. It sounds like an inside job. I think it's all stolen credit card based, I've heard of Xbox credit and games being ordered from stolen credit cards, Once they have placed the order the the stuff is shipped to a burner address, they grab the items and by the time the card has bounced or been reported as missing, they are long gone from that address with gift cards. I read a article on a gaming site about such things, hackers really know their way around burner addresses and such. As a Letter Carrier I've noticed a few questionable packages being delivered to supposedly vacant addressees, I've held them and turned them back into management. I've also noticed packages with names on them that didn't match the occupants names. Luckily I knew the occupants names, UPS, FedEx, or OnTrac wouldn't have been able to catch the name discrepancies and probably would have just dropped it.